By admin , in Arthritis on February 11, 2019 . There are several natural treatment options for patients who suffer the debilitating effects of arthritis. While traditional treatments often include prescription medications and painkillers to relieve pain and inflammation, alternative remedies have far fewer side effects and may be effective in arthritis therapy. Exercise is commonly advised for individuals with arthritis who are still able to move with minor discomfort. Movement of the joints during physical activity can cause the body to release pain-fighting endorphins that help ease the discomfort of arthritis. 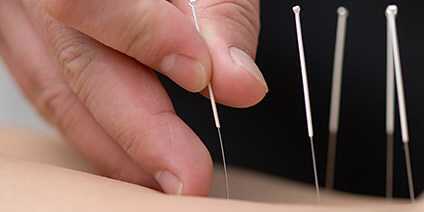 Acupuncture is another one of the natural remedies that shows promise in the treatment of arthritis. 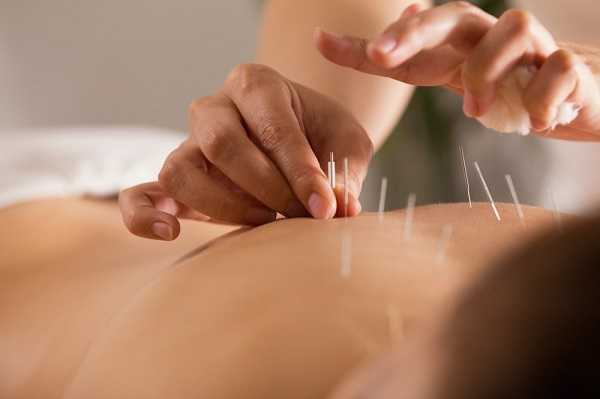 With acupuncture, a trained professional inserts tiny needles into the pressure points of the body, theoretically causing a release of tension and excess energy that may be blocked. The release at the pressure points from acupuncture may help increase pain tolerance and help promote proper energy and blood flow to the affected areas of the body. 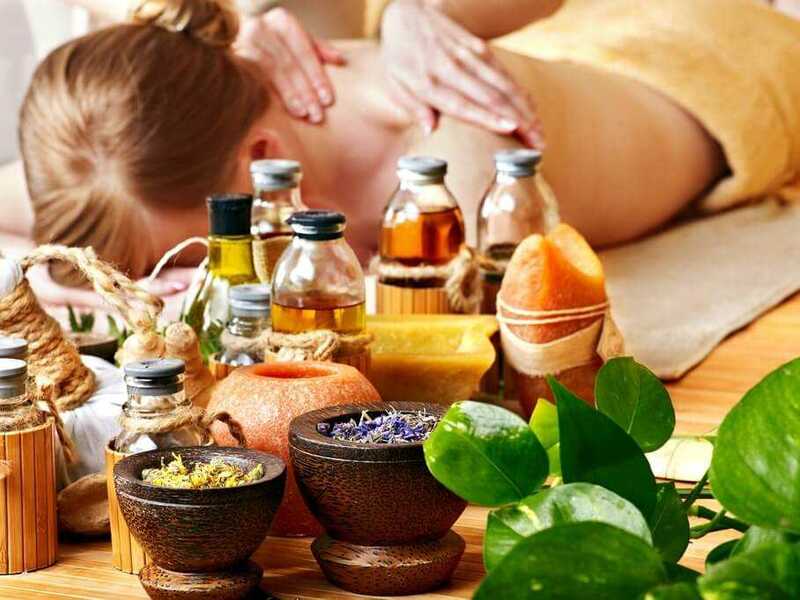 3 Aromatherapy: The New Pain Killer? 4 Can Hypnosis Therapy Alleviate Your Arthritis Pain? Two important natural therapies used to treat arthritis are meditation and yoga. Both of these treatment options focus on the mind/body connection and how both relate to well-being and health. 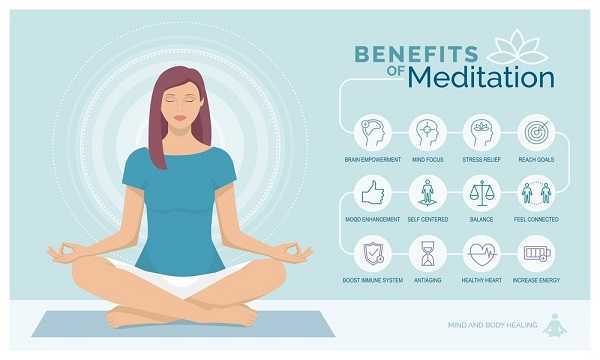 Meditation is often used to bring the body and mind into a calm, relaxing state of being by helping patients change their focus from arthritic pain to peaceful content. Meditation can be active, such as focusing on a mantra, or passive, which requires the patients to close their eyes and allow their thoughts and feelings to manifest at will. Both types of meditation are helpful in the treatment of arthritis. Yoga is an excellent alternative treatment for patients living with arthritis. Yoga encourages physical movement with directed purpose. Many of the poses that are used in yoga are beneficial on the body’s joints and help to add flexibility to the body. Participating in this activity a few times per week proves beneficial for individuals with this condition. The efficacy of alternative therapies for arthritis hold an important place in treatment of arthritis. When used in conjunction with conventional treatment options, natural remedies can offer noticeable improvement in the symptoms associated with arthritis. Anyone who suffers from the pangs of arthritis can eliminate the discomfort by using supplements and other natural remedies. Constantly using anti-inflammatory medication and over-the-counter pain relievers often provide no promise of relief for chronic arthritis patients. Consider some of these natural options to relieve the tension today. A number of supplements are beneficial for treating arthritis. 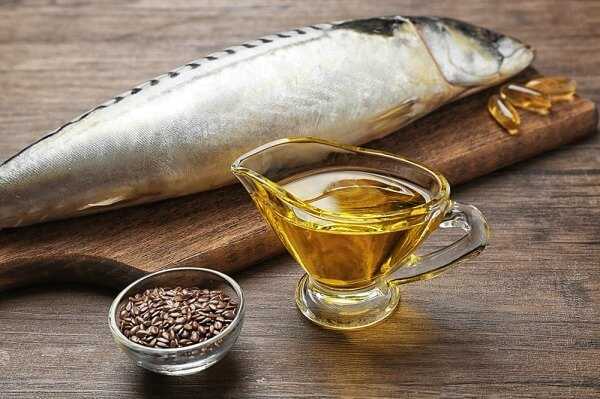 Taking a fish oil supplement is known to decrease tenderness in the joints of arthritic patients, and it can help alleviate periods of pain. A 1,500-milligram dose of glucosamine sulfate each day is a way to null pain from arthritis. Chondroitin sulfate can also slow the progression of the disease if one takes 800 milligrams a day. A probiotic supplement can also be helpful in fighting osteoarthritis from the inside out. Remedies applied to the skin have incredible effects for those battling arthritis. Numerous scientific studies have found that acupuncture is also an amazingly helpful aid. Transcutaneous electrostimulation and electroacupuncture can also be applied directly to the skin to loosen stiff joints. Chiropractic massage from a trained professional can relieve muscle spasms and joint pain. Capsaicin is a substance extracted from chili peppers that has beneficial properties for arthritis sufferers. 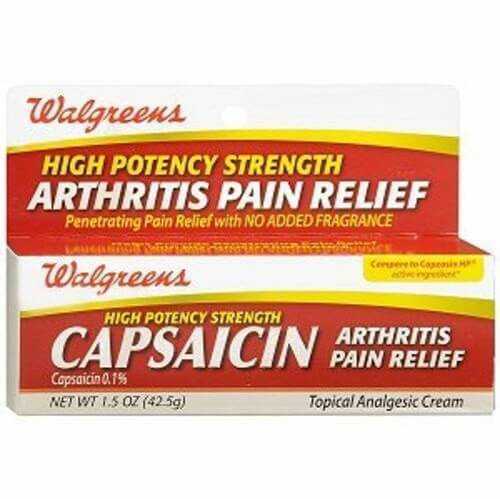 Capsaicin cream applied to the affected area is an effective, topical pain relief treatment. A hot compress is effective in removing joint stiffness, while an ice pack reduces swelling and centralized pain. Keep in mind that arthritic joint pain worsens with weight gain, so losing those extra pounds is an easy remedy for beating arthritis. Even a loss of 10 pounds can prove to be an extraordinary benefit. Individuals who suffer from the condition should also engage in aerobic and strengthening exercises to improve their state of health. Walking, jogging, cycling, yoga, and swimming are excellent options to get in better shape and reduce symptoms. Keep in mind that all natural remedies will not be effective for every person, so don’t be afraid to try another method if one of the natural remedies does not work for you. Using them consistently and in combination with other natural remedies offers the highest chance of total relief. Arthritis is a joint condition that requires ongoing treatment to manage the symptoms of pain, swelling, and reduced mobility. A wide range of treatments are available for this condition, including medications, injections, heat, massage, and surgery. Acupuncture is an alternative treatment that is getting renewed attention for the treatment of arthritis conditions. It can be of significant help in managing pain and improving joint function. Acupuncture is an ancient Chinese system of healing that uses the energy of the body to relieve pain and improve function. The method is believed to go back to 6,000 years B.C.E., when it was done with sharpened stones and sticks. Early writings mention the “meridians” of the body, although they were depicted very differently than in today’s acupuncture. The manipulation of “qi” energy through these meridians is the basis of the practice, which is believed to assist in promoting good health and longevity. To do this, very fine needles are inserted into the body at specific points to induce the flow of energy through the body. Although how acupuncture works is not well understand, more and more physicians are recommending it as an adjunct therapy for diseases with painful symptoms such as arthritis. Scientists have studied the practice and effects of acupuncture and believe it works by stimulating nerves along the acupuncture points of the body. Other evidence indicates that the insertion of the needles cause the body to release neurotransmitter chemicals that help to relieve pain. As more evidence becomes known, it is clear that acupuncture can be an effective way to manage certain disease states. Acupuncture is now recognized as an effective adjunct therapy for long-term pain associated with conditions such as osteoarthritis and rheumatoid arthritis. Studies have shown the method can improve both pain and mobility for patients with osteoarthritis. However, acupuncture has not been proven to be effective in controlling joint inflammation, nor can it prevent the joint damage that often occurs with these conditions. Because the use of acupuncture as an additional therapy to relieve arthritis pain is becoming more common, your orthopedic physician may be able to refer you to a practitioner that has the knowledge and training needed for effective help for your arthritis pain. Aromatherapy: The New Pain Killer? Should the “A” in “arthritis relief” stand for aromatherapy? Many health care specialists as well as arthritis sufferers are beginning to think so, and research as well as results are beginning to agree. Arthritis happens when a chemical imbalance in the body does not get rid of uric acid efficiently. Instead, the excess acid gets deposited as crystals in the spaces of the joints. It does not take long after that for the pain of arthritis to occur, as well as the stiffness, inflammation, loss of motion, and eventually damage to the joint itself. The medical world has long looked for a cure for arthritis and a way to ease the crippling pain. One way that is gaining favor is the use of aromatherapy, which means using scents and aromas for pain relief and relaxation. The pain is reduced, according to specialists, because these aromas work directly on the amygdala, which is the emotional center of the brain. 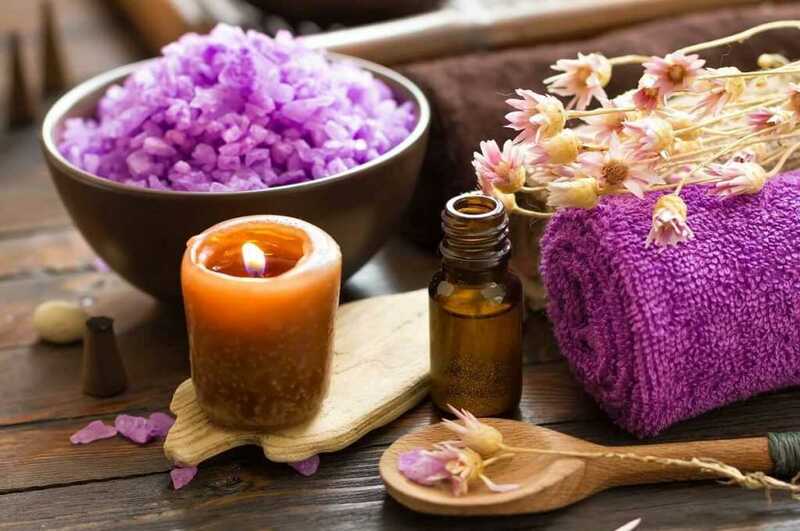 Throughout history, many cultures have used essential oils, which are the natural aromatic compounds found in leaves, seeds, and other parts of plants, to treat ailments. Make a massage oil of birch, ginger, and marjoram for a pain-relieving bath. The aroma of green apples reduces the severity of migraine headaches and has a like effect on joint pain. Make a compress of benzoin, chamomile, lavender, and rosemary to reduce joint inflammation. Making an aromatic liniment is recommended for the relief of arthritic joint pain using such essential oils as cinnamon, clove, and peppermint, which supply the heating action. The liniment base is either rubbing alcohol or an alcohol such as vodka. To reduce inflammation, the liniment is made more effective with the use of lavender, marjoram, and rosemary. Those who advocate aromatherapy for the treatment of arthritis also recommend reducing the intake of red meats and consulting a doctor before beginning any new treatment. Can Hypnosis Therapy Alleviate Your Arthritis Pain? Anyone who suffers from arthritis knows that it can be a debilitating condition. Constant joint pain can quickly sap the enjoyment right out of any activity. There are many different treatments for arthritis available today: surgeries, medications, physical therapy, and so on. Many people afflicted with arthritis try dozens of these, yet still suffer with joint pain. The good news is that one particular treatment takes a very different approach to pain management and has a good track record. That treatment is hypnosis therapy. When most people think of hypnosis therapy, they picture a sinister character swinging a watch in front of an unsuspecting victim and luring them into a trance during which they are susceptible to malicious brainwashing. This could not be further from the truth. A patient under hypnosis cannot be talked into doing anything that they would not do under normal circumstances, nor can they be made into a “Manchurian candidate” who is programmed to perform some action at a later time. The easiest way to understand hypnosis therapy is to think of it as guided meditation with the goal of making positive physiological changes. 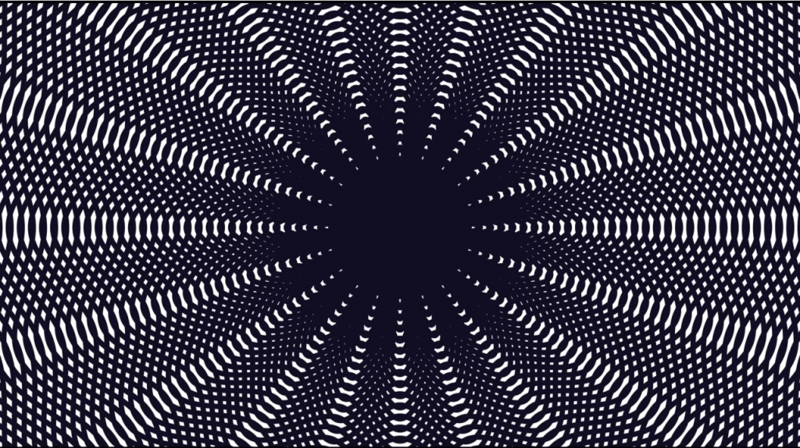 The average person probably enters a pseudo-hypnotic state several times throughout the day: possibly during a long drive, in a waiting room, or performing some repetitive task. In these situations, you may find that although you have been awake, you have “zoned out” and a surprisingly long period of time has passed. This is a similar state that patients enter during hypnosis therapy. During this phase, the subconscious mind is more receptive to positive suggestions. It is during this phase that work can begin on arthritis pain management. The exact method depends largely on the patient’s personality, degree of pain, and many other items of medical history. The hypnotherapist may use an approach involving guided imagery, neuro-linguistic programming, interpersonal communication, or a variety of other methods. A certified hypnotherapist can develop a “script” tailored to the patient. The body and mind are inexorably linked and the hypnotherapist’s job is to use that link to make positive physical changes through the mind. Hypnosis therapy has been shown to be effective for many individuals in need of arthritis pain management. For these individuals, hypnosis therapy is much more than a hokey nightclub act or a Hollywood film cliché: It is an invaluable tool for leaving their pain behind and enjoying life to the fullest. Meditation can relieve the pain and stress attendant on chronic inflammatory conditions. Mindfulness meditation, in particular, has been linked to relief of rheumatoid arthritis symptoms. Meditation techniques have been studied in medical contexts since the 1970s, when they began to be widely taught in the West. Recent studies have linked mindfulness meditation to decreased swelling in a range of inflammatory conditions. Meditation is practiced by over 20 million Americans. There are numerous techniques. Mindfulness meditation brings the attention to the present moment through such practices as watching the breath, scanning or listening to the body, and walking meditation. Any of these can be used to increase relaxation and reduce the suffering associated with chronic painful conditions. Paying attention to the breath is a universal meditation technique. Sitting in a comfortable position, or even lying down, the beginning meditator breathes normally. Watching the breath can be done by feeling the air coming in and out of the nostrils or by paying attention to the rise and fall of the diaphragm. As the meditation continues, the breath becomes quieter. Relaxation and calm result. Paying attention to the body is a particularly useful technique for dealing with pain. Again, the meditator sits or lies quietly. Slowly, the person moves awareness across the body, starting at the feet and moving up. The meditator notices different sensations and watches them without reaction. An alternate version of this is to scan the body for an intense feeling and then experience that feeling in complete detail. Slowly, the feeling loses its intensity and its hold on the mind. The effect of mindfulness is to make the mind clearer, calmer and less prone to react. Meditation teachers explain that there are three ways that this technique can help alleviate pain. First, it can lower the amount of pain experienced. Second, it can prevent the mind from escalating the pain by reacting to it and creating more stress. Third, it can make the pain symptoms less intrusive. The expression “creating space around the pain” means being able to put pain at a distance. Staying connected to what is pleasurable and nourishing allows the pain less of one’s attention. Chronic pain sufferers can change the perception of pain, and they can change the thoughts around the pain. Mindfulness meditation is best learned from someone experienced in the technique. The initial investment can be as little as five minutes a day. A major problem associated with arthritis is that it robs people of their sense of freedom. Arthritis typically happens later in life when a person is beginning to have other negative changes in capabilities and lifestyle. The addition of the nagging, random pain of arthritis and a new lack of mobility can be overwhelming for some people. 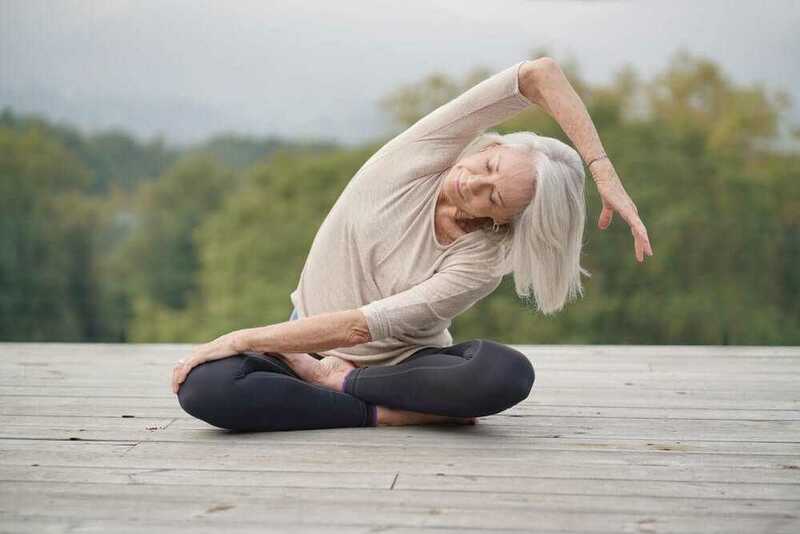 Is it possible that there are benefits from performing yoga for arthritis? 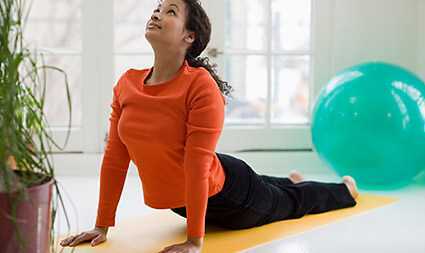 While medications and treatments do exist to help decrease pain, many people turn to exercise and yoga to restore some mobility and try to decrease pain. Some people wonder if it is even possible for yoga and arthritis to amicably coexist, and the answer is yes! There are many conditions, all falling under the classification of arthritis, that involve joint pain. Studies have shown that when patients perform yoga, they feel significant relief from this condition. As anyone with arthritis can tell you, sometimes any movement at all may cause pain. But remaining sedentary is not the key to good health, either. Doctors encourage arthritis patients to participate in the breathing and relaxation methods that yoga offers to help improve movement. Because higher-impact exercises may cause more discomfort and damage, yoga is increasing in popularity among patients and doctors both. Studies show there are benefits to moving the affected arthritic joints. Yoga has many long-term effects on relieving pain and helping increase mobility. When performing a yoga pose or exercise, the joint feels the benefits immediately. Remember, movement of the body is required to send circulation to the muscles and nutrients to the joints. Yoga is the most effective activity there is that nourishes, heals and strengthens a body with arthritis. For someone beginning yoga for the first time, there must be patience for the patient and the instructor both. A student with arthritis should never be forced to push past the point of pain. Students should push themselves to the limit but never force the joint that has arthritis. This could cause further damage to the joint. Arthritis is one of the main causes of disability in those over the age of 55. Even those as young as 20 years old can be affected with arthritis and, in some rare cases, children can have a type of arthritis. 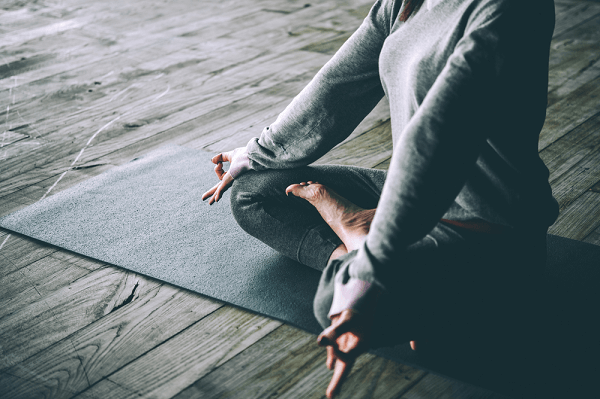 If you or someone you know is struggling with arthritis, speak to your doctor about the possibility of yoga to help relieve pain and increase mobility. Massage therapy is beneficial to reduce painful and the often debilitating symptoms associated with arthritis. There are many different types of massage that can be used to help alleviate a variety of symptoms that can be performed by hand or with the use of special tools depending on the needs of the individual. This type of massage is the most common type of massage; it typically involves long, smooth strokes, but may also involve other methods that include tapping and vibrations. This type of massage can help reduce pain and stiffness and increasing circulation. Reduced anxiety and better sleep are some of the other benefits of Swedish massage. This type of massage uses a more focused pressure to manipulate both deeper layers and surface tissues. It helps release chronic tension in deeper connective tissue to bring long-lasting relief from pain and stiffness while increasing range of motion. Some soreness may result after deep tissue massage. In this type of massage, smooth, heated stones are placed on the body, typically the back. The heat is allowed to penetrate the muscles to help soothe and relax any tightness. Hand manipulation of tissues may be used in connection with hot stone massage for greater results. With this type of massage, the patient’s body is moved into a variety of positions during the massage to allow for stretching of muscles and connective tissues. Thai massage focuses on mobilization of joints, compression of muscles, and the use of acupressure to reduce pain and stiffness. This type of massage uses certain pressure points on the feet, and sometimes the hands, to affect areas all over the body. Reflexology promotes healing, resulting in the reduction of pain, anxiety, and stress to promote overall health and well-being. This is a Japanese style of finger massage that emphasizes rhythmic pressure on precisely selected points of the body to restore the flow of energy throughout the body. This form of acupressure massage can help reduce pain and stiffness while promoting a feeling of relaxation.